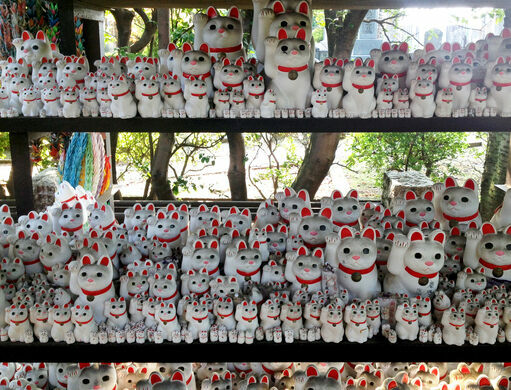 Gotokuji, a Buddhist temple in Tokyo’s Setagaya district, has become famous due to a legend citing it as the birthplace of the maneki-neko (beckoning cat) good luck charm. 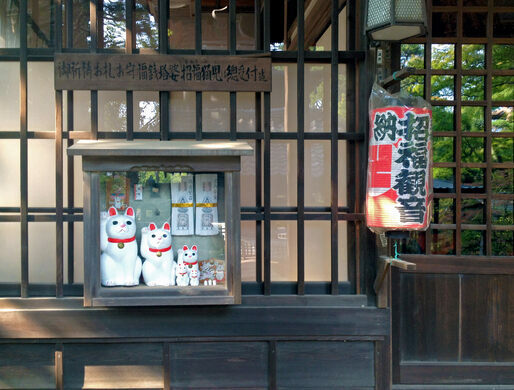 Legend has it that during the Edo period, the final era of traditional Japanese government, a cat under the care of a priest at Gotokuji Temple led a feudal lord to safety during a thunderstorm. 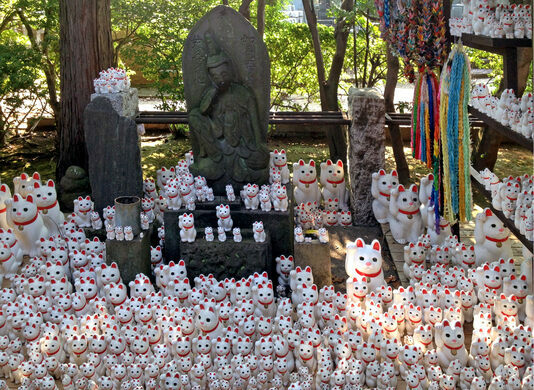 The cat beckoned the lord and his servants inside with a waving gesture—hence all maneki-neko statues have one paw raised. The lord enjoyed tea with the priest while the thunderstorm raged outside. To express his thanks afterward, he donated rice and land and selected Gotokuji Temple as the cemetery for his prestigious family. 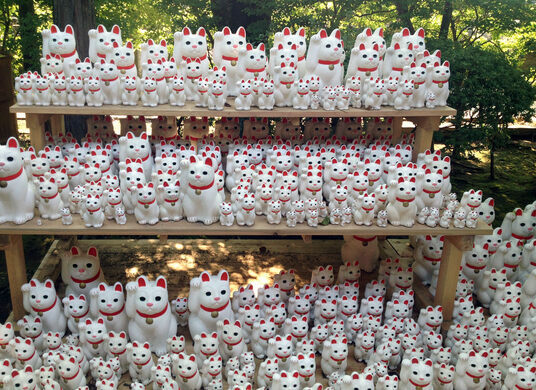 Today, visitors can see hundreds of lucky cat figures on display around a statue of the goddess of mercy, Kannon. The main building and grounds are dotted with cats, while cat-related art lines the streets surrounding the temple. 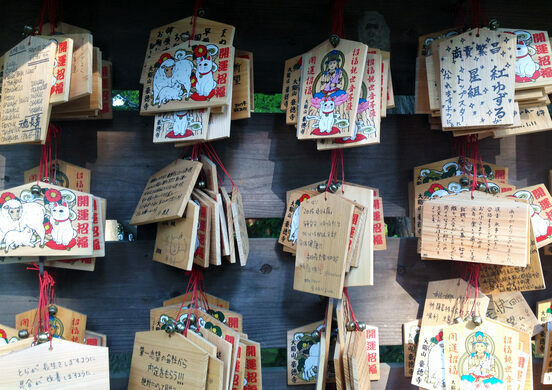 Gotokuji is easily accessible from central Tokyo. From Shinjuku station, take the Odakyu line in the direction of Hon-Atsugi directly to Gotokuji station. It takes around 30 minutes. 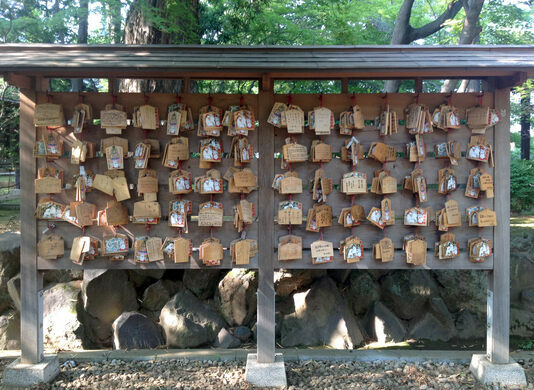 The shrine is less than five minutes walk from Gotokuji station.Gotokuji Temple opens everyday from 6am to 6pm. Entrance is free.